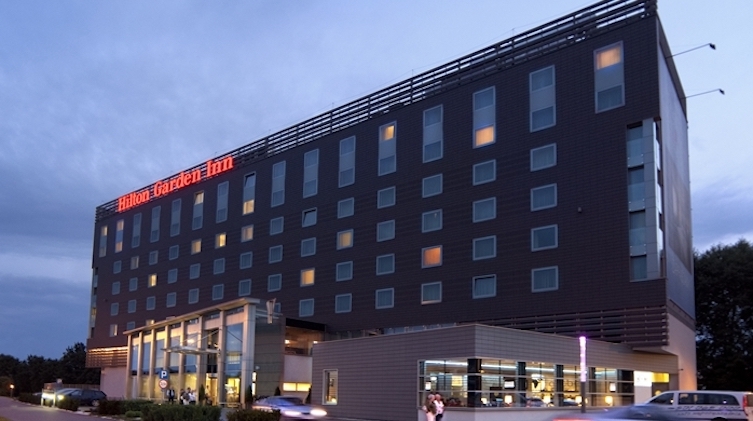 Hilton Garden Inn, like DoubleTree by Hilton, is an upscale brand in the Hilton collection. 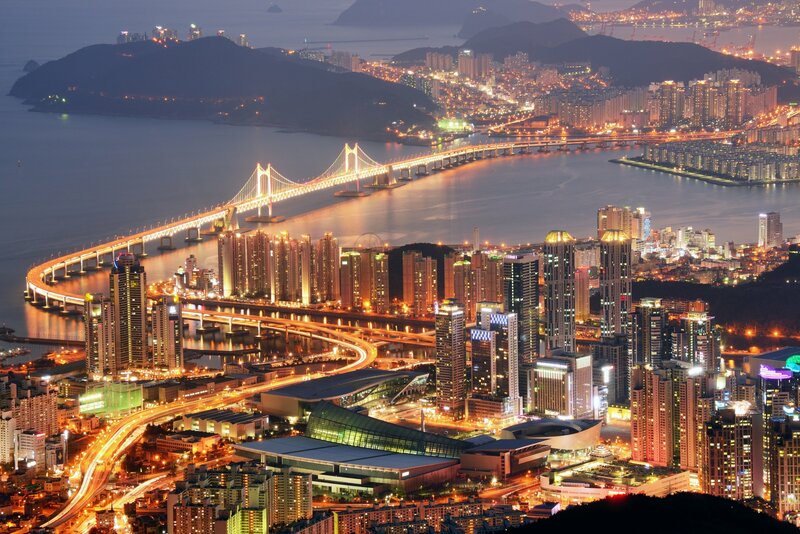 With over 700 properties spread across 33 countries, it is the second largest Hilton brand behind Hampton by Hilton. 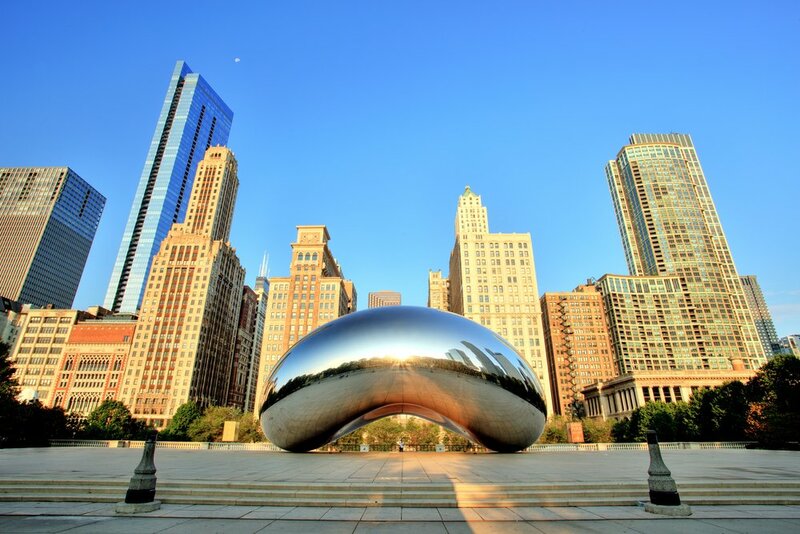 Most of these locations are in the United States, but you can find more than 60 Hilton Garden Inn properties across Europe and over 20 in Asia. Let’s take a look at what you can expect when you stay at a Hilton Garden Inn. Hilton Garden Inn competes with brands such as Hyatt Place, Holiday Inn by the InterContinental Hotels Group (IHG), Aloft, Courtyard, and Four Points by Sheraton, by Marriott Hotels International. Their properties are built to accommodate busy business travelers with “an open, inviting atmosphere with warm, sunny service.” With many small touches, Hilton Garden Inn seeks to make life just that little bit easier for people on the road. While Hilton Garden Inn makes a big deal out of complimentary Wi-Fi, this has become standard at almost all major hotel brands. That being said, these properties do have several aspects that make award stays and paid stays worth considering. Take advantage of the delicious hot cooked-to-order breakfast at Hilton Garden Inn properties. Image courtesy of Hilton. Work travelers often want a hotel that makes everything convenient; that’s why Hilton Garden Inn properties provide hot cooked-to-order breakfast every morning. Breakfast is not complimentary for standard bookings, but those with Hilton Gold or Diamond elite status do receive complimentary breakfast for themselves and 1 companion staying in the same room. In addition to cooked-to-order breakfast, you can also take advantage of Hilton Garden Inn’s 24-hour Grab n’ Go pantry and enjoy dinner at the on-site bar and restaurant. The in-room amenities are also ideal for business travelers. Each room has a desk and chair with ample space to do work. You can also take advantage of the in-room refrigerator and microwave when you just feel like eating leftovers in your room after a long day. For those working long hours, coffee (or tea) is often an important part of the day, so Hilton Garden Inn provides a coffee maker with coffee and tea at no extra cost to you. They have also partnered with Serta to provide the mattress and box spring sets for each of their properties to ensure you sleep well throughout your stay. As you can probably tell, Hilton Garden Inn is designed to ensure guests enjoy their time at the property. With that in mind, they have designed their properties with ample common space so guests can relax or work somewhere besides their rooms. Each property also has a business center open 24 hours, 7 days a week for those who need quiet space. If you’d prefer to mingle or be in a more open space, Hilton Garden Inn has plenty of options for that too. The co-branded Hilton cards provided by American Express might be the best ways to earn Hilton Honors points that can be used for award stays. If you’re looking to make your stay at a Hilton Garden Inn a little bit nicer, check out one of the co-branded Hilton credit cards. The Platinum Card® from American Express provides cardholders with Gold status at Hilton (and Marriott Bonvoy), which also comes with all of the usual status perks. Hilton Garden Inn properties provide some surprisingly great ways to redeem Hilton Honors points. If you can get free breakfast thanks to Gold status from a credit card, that makes these stays even better. Keep in mind that Hilton does not have an award chart that divides hotels into categories, so you won’t be able to easily predict the required points for an award night. Use Hilton’s online tool to see the maximum points required for an award stay. 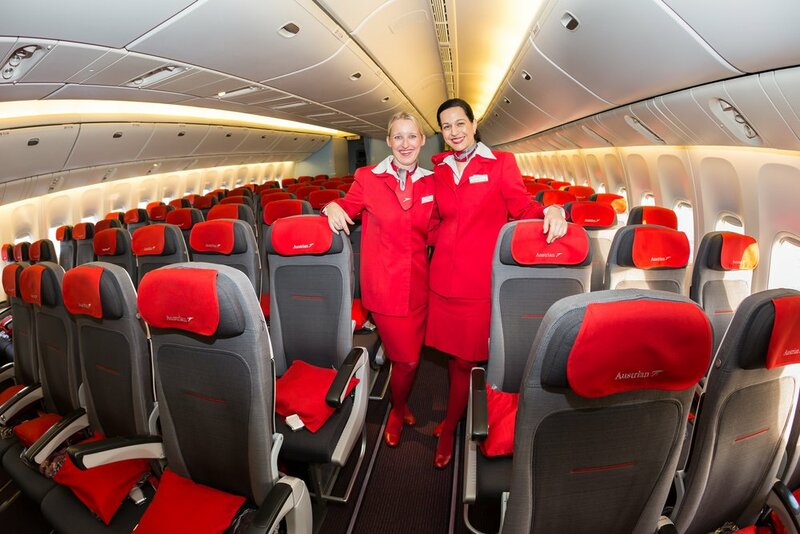 Unfortunately, it won’t show you the minimum amount required — which is what you want when booking. Try not to book award stays during busy times at a given property to make your points go further. Let’s take a look at 5 great redemption options with Hilton Garden Inn. 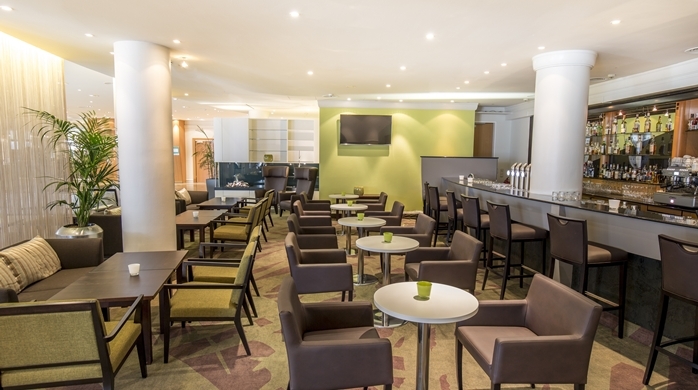 The Hilton Garden Inn Vienna South is a great place to stay during a trip to Vienna, Austria. Image courtesy of Hilton. 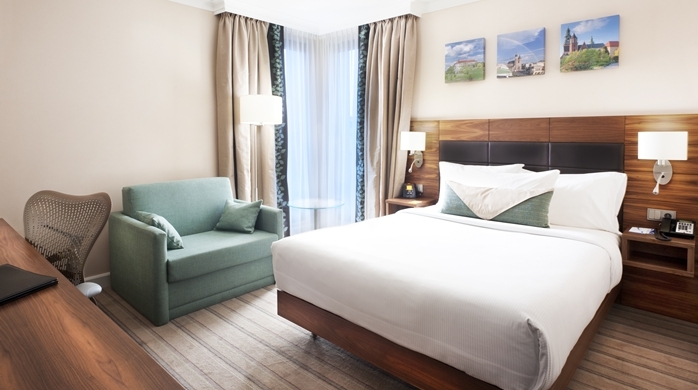 Booking award stays at the Hilton Garden Inn Vienna South is a great way to see Vienna if you don’t mind a 15-20 minute Uber or taxi ride into the city. Even better, you can take the free shuttle that runs to the city center every 25 minutes! Vienna is an amazing city, and the Hilton Garden Inn Vienna South can make your visit a breeze with a great breakfast and friendly staff. What really makes this an awesome redemption is the value: the maximum number of Hilton points required for an award night is just 10,000. 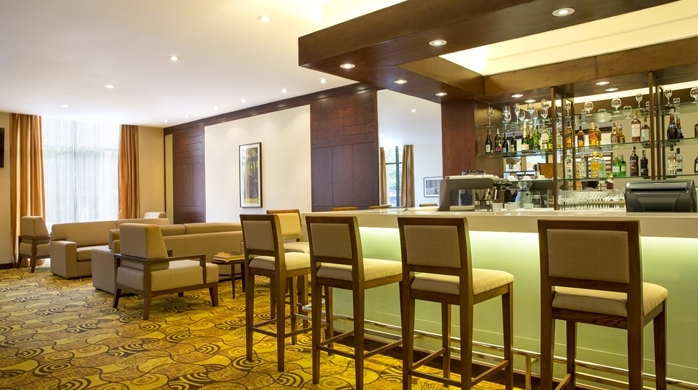 The Hilton Garden Inn Hanoi is perfectly located for your trip to Hanoi. Image courtesy of Hilton. Another great redemption is the Hilton Garden Inn Hanoi, which is located in the central business district and perfect for business travelers. This is also a great location since it provides easy access to other districts with numerous attractions. The hotel is one of the better you’ll find in Hanoi, and the staff receives good reviews for making guests feel right at home. You can book an award stay at the Hilton Garden Inn Hanoi for no more than 10,000 Hilton points per night, making it another valuable Hilton redemption. Consider the Hilton Garden Inn Times Square on your next trip to the Big Apple. Image courtesy of Hilton. 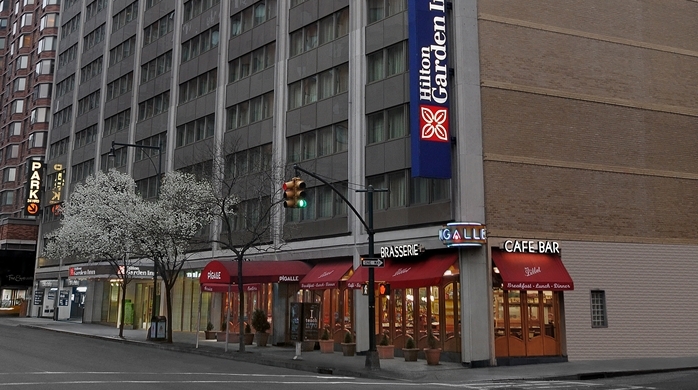 The Hilton Garden Inn Times Square is perfectly located for a trip to New York City. You can walk to museums and theaters, and (of course) it is located right near Times Square. It’s not just the location that makes this hotel shine, though — they have a fun rooftop bar where you can enjoy a drink and something to eat during happy hour. You can book an award night at the Hilton Garden Inn Times Square for a maximum of 70,000 Hilton points. Krakow is an amazing city with a rich history, and the Hilton Garden Inn Krakow is a great place to stay during your visit. Image courtesy of Hilton. Krakow is a beautiful city with tons of history to explore, and the Hilton Garden Inn Krakow is near the city center to make visiting attractions on foot very easy. It’s also simple to access the tram so you can get to other parts of the city. 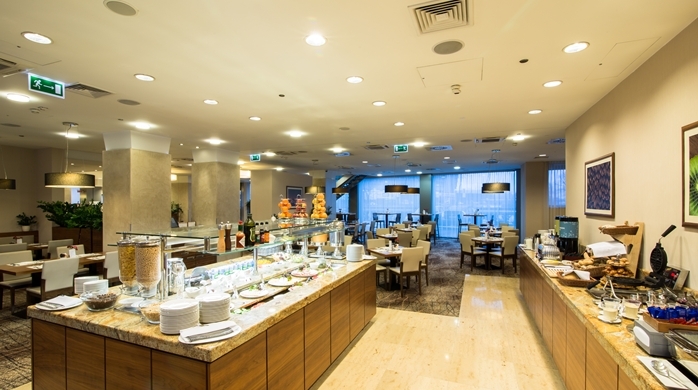 The staff receives great reviews for their friendliness and helpfulness, and the buffet breakfast is also highly rated. Award stays can be booked for a maximum of 30,000 Hilton Honors points per night. 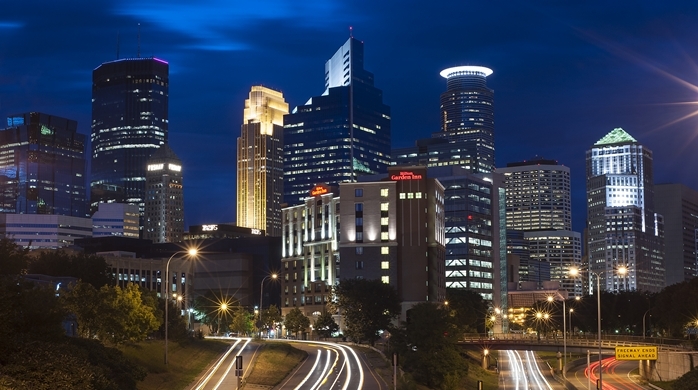 The Hilton Garden Inn Minneapolis Downtown is a perfect place to stay for both business and leisure travelers. Image courtesy of Hilton. Whether you’re visiting Minneapolis for a conference or attending a Minnesota Twins game, the Hilton Garden Inn Minneapolis Downtown is a lovely place to stay. This property really goes out of its way to make guests feel at home during their time in the city. You can book an award stay for a maximum of 40,000 Hilton points per night. Hot Tip: Check out our best ways to redeem Hilton Honors points for award stays! Hilton Garden Inn is definitely built for busy business travelers who appreciate amenities that make being on the road a little bit easier. However, the cooked-to-order breakfast and in-room amenities can just as easily be appreciated by leisure travelers. Like other Hilton properties, having Gold status can make your stay at a Hilton Garden Inn even better with complimentary breakfast for you and a companion as well as several other perks. If you’re looking for a hotel that makes traveling easy, check out a Hilton Garden Inn on your next trip. Where are Hilton Garden Inn properties located? There are over 700 Hilton Garden Inn locations across 30 countries. It is the second largest brand in the Hilton portfolio. What are Hilton Garden Inn properties like? Hilton Garden Inn hotels are built to make traveling easy for both business and leisure travelers. You can take advantage of cooked-to-order breakfast, solid in-room amenities, and relax in common areas.